Many places in the world begin to slow down as evening time draws in, but certainly not vibrant Madrid. The central district especially has an endless amount of choice for night-time fun, whatever you preference might be. Whether it’s cool cocktail bars, traditional taverns or even one of the cities many music venues, our handpicked Hosts will show you some of the most exciting nightlife spots in the whole of Madrid. Between bars you will be immersed in the magical nocturnal world of central Madrid, an area that is packed with stunning baroque and medieval architecture and where you’ll be able to see some of the city’s most iconic sights. 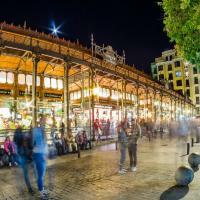 You could start your night out in the typical Madrid way - with tapas! With such a wide selection of restaurants in the centre of town, there is definitely something for everyone here. Choose to dine al fresco at Plaza Major or perhaps try out a little hidden gem that only the locals know, your Host will take you to the right spot for you. After this it’s time to go bar hopping around some of the Central districts best nightlife spots. Sit back with cocktails and watch the city from above on the rooftop terrace of the Madrid Reina Victoria Hotel or head to one of the area’s many live music venues. 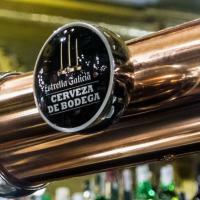 As you go from bar to bar you will see some of Madrid’s best loved tourist attractions illuminated, so feel free to pick a bar that overlooks the beautiful sights. Your experience may end here but the night is still young, and your Host can recommend where to go next. Whether it’s to a hipster club in Malasaña or down to the ever vibrant district of La Latina, the city is yours! 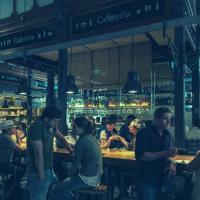 Join a hand selected Host who can show you some of the best bars and venues that Madrid has to offer. Walk around the magnificent central district at night, home to iconic city sights such as Plaza Major, the Royal Palace and the Almudena Cathedral. 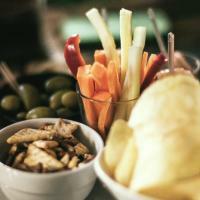 Enjoy a typical Madrid night out starting of with tapas and then heading out for some cocktails or beers at a nearby local bar. Learn about the best spots in town for you to go next from your knowledgeable host.